With the holidays right around the corner, chocolates are always a perfect gift or stocking stuffer. We all love chocolate, right? 7 days to go! 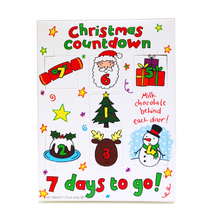 is a fun, interactive chocolate countdown greeting card. One week (7 days) before Christmas you can start counting down and enjoying the creamy delicious milk chocolates behind each window... one day at a time! The Mini Santa Parade, Mini Soldier Parade, and Mini Snowman Parade are adorable mini wrapped milk chocolates all in a row. Brightly dressed, fun, and festive. They are as delicious as they are adorable, and they make the perfect gift or stocking stuffer. 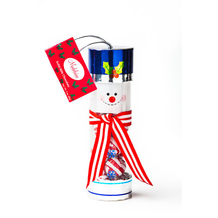 The Snowman Cylinder and Santa Cylinder double as festive hanging ornaments that are filled with chocolate balls. Perfect to hang on your Christmas tree, or to adorn the outside of any holiday gift. The two things I love most about The Madelaine Chocolate Company is their wide variety of fun and festive chocolates, and the fact that their chocolates are creamy and delicious! This giveaway will end November 19th at Midnight EST. 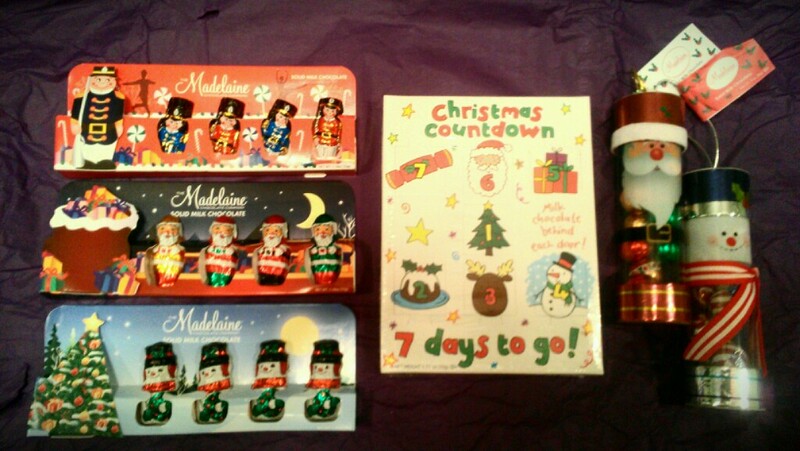 Disclaimer: I received complimentary Christmas chocolates from The Madelaine Chocolate Company for the purpose of writing a review and hosting a giveaway. Regardless, I only recommend products or services I use personally and/or believe will be a good fit for my readers. The views and opinions expressed on this blog are purely my own. Results may vary. No monetary compensation was received. I like th Polar Bears. I like the Snowman Oval Pops! I like the Star Ornaments and the Christmas Mint Truffles. I like the Dark Chocolate Christmas Ball Mix. The peanut butter ball ornaments sound cool! I like the Chocolate Santa Ornaments! Christmas Delights Gift Box would be the perfect gift!! The Christmas mint truffles for sure! Oh, the Christmas Mint Truffles...chocolate and mint is the best combination. Mini Santa & Elves Gift Box. the christmas bells are my fave! Dark chocolate malt balls, yummy!